Why don’t you begin OHENRO? Have you ever seen people who wear this costume ? This is the traditional clothes for OHENRO, buddhist pilgrimage on the shikoku-island in Japan. I began Ohenro in the last summer. Today I’d like to introduce Ohenro and why I recommend it to everyone even if you are not a religious buddhist. OHENRO is a pilgrimage of 88 temples circling the Shikoku-island associated with the buddhist monk Ku-kai in early 7th century. 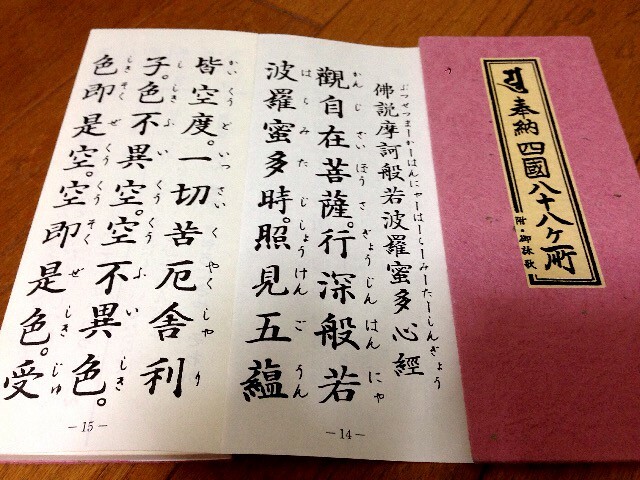 The standard course starts from Tokushima prefecture and ends at Kagawa prefecture. The traditional pilgrims complete their journey on foot. They need to walk over 1,200 km long. Don’t worry. You can use any vehicle like bicycles, taxis, I used a rent-a-car, and do not need to complete all 88 temples at once. I’ve visited to Shikoku twice and finished 36 temples until now. In each temples, there are many things to do. 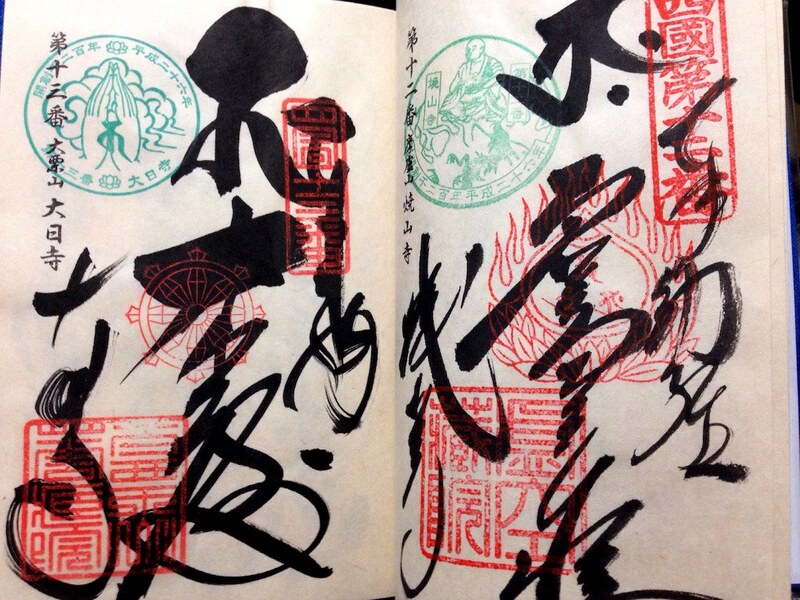 Light a candle and incense sticks, post this tag, chant 7 types of short buddhist sutras, and get stamps on this notebook, nokyo-cho, then the temple gives you a calligraphy. Why did I decide to try it even I’m not a religious person? 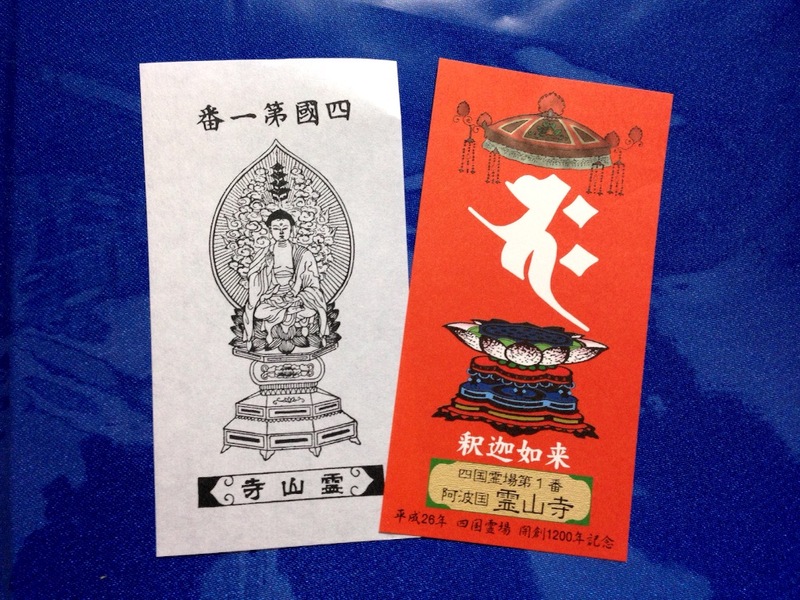 At first, I just wanted to enjoy sightseeing Shikoku and Japanese temples with unusual taste. But once I began to pray in the first temple, I was overwhelmed by a feeling of unreality. Please imagine, I’m working for an internet industry so I usually sit down in front of my computer and type something whole day in the modern building. But I, who prayed and chanted sutras in the quiet temple with this white clothes, was in a totally different world. It was completely new and curious experience for me. Another and the greatest point about Ohenro I felt was I could be nobody. What’s the meaning of “nobody”? If somebody asks me “Who are you?”, I’ll answer I’m a security engineer, working for some laboratory, a member of some consortium, anyway, I have several roles in actual world. I’m proud of playing these roles of course, but sometimes I feel tired because even on vacation, it’s difficult to forget them completely. But while pilgrimage, I was released from any roles in my daily life. I could be “nobody”. Once I wear the white clothes, I can be one of them, one of pilgrims. Only I needed to think was chanting sutras correctly, driving safety to the next temple and what I should eat for lunch and dinner. It’s quite simple, isn’t it? I think it’s a big different from normal trip. Ohenro gives me a clearly but simple destination and no need to think about another thing. It was greater relief for stress than I’v ever experienced. Actually, I thought Ohenro is for old people who have enough time to travel but I recommend it to everyone especially for people who are very busy by their job, by playing their roles everyday. If you get tired in your daily life, why don’t you begin OHENRO? I promise you it’ll be a wonderful experience as never before.